Commissioned by Don Ramsey and The Kowabunga Van Klan of Huntington Beach. Hand carved out of Insulation foam coated in plastic this sign went through many stages of creation. 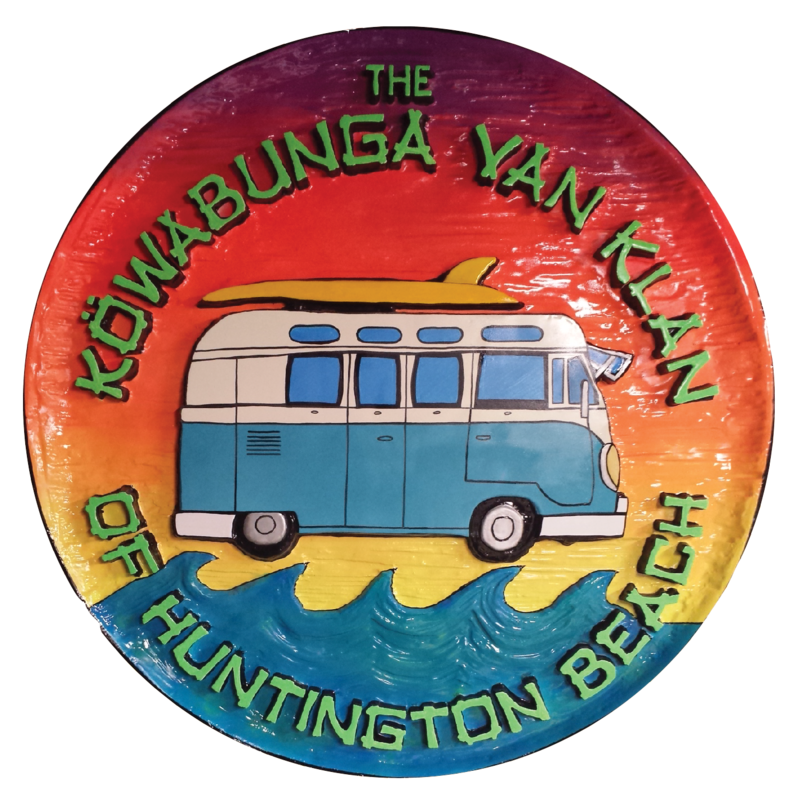 It can now be found twice at the the classic VW Bus shows in Huntington Beach thrown by The Kowabunga Van Klan.